Beacon, has been chosen to receive a generous donation of £100 from Dormston Masonic Lodge as part of its annual fundraising initiative. 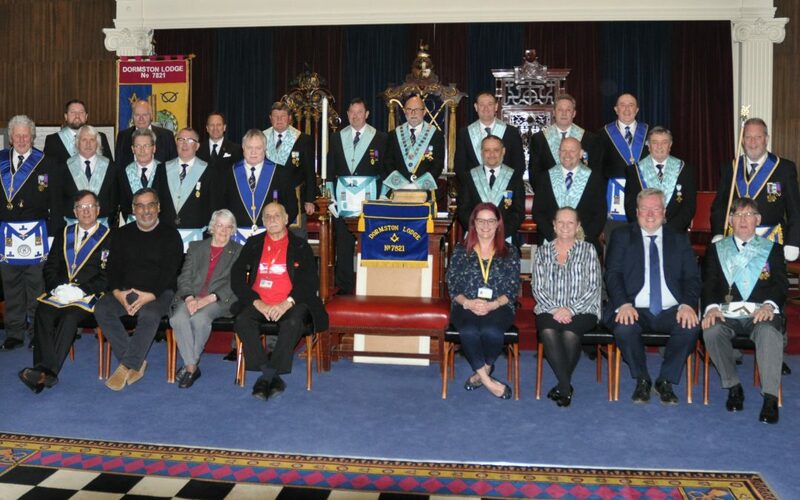 Dormston Lodge is part of the Provincial Grand Lodge of Staffordshire, which has a longstanding commitment to supporting charities in its local communities, with every Lodge raising funds each year. Beacon’s Business Development Manager, Annamarie Balram, was presented with the £100 cheque by Dormston Lodge Charity Steward, Malcolm Jarvis, at the Lodge on Tettenhall Road. Beacon aims to make a visible difference to people living with sight loss whilst also raising awareness of the importance of eye health. The charity has been part of the West Midlands community for over 140 years, having been founded in the Black Country in 1875. Beacon CEO, Lisa Cowley, added; “On behalf of Beacon, I’d like to thank Dormston Lodge for their generosity and for choosing us as a recipient of their fundraising with this £100 donation. Ultimately, we want to create a society where individuals value and protect their sight, and where visual impairment does not limit or determine opportunity.